Election turnout surged the last time Texas votes really mattered in a presidential primary, but the 2008 runoffs a month later were marked by a full relapse of electoral anemia. It could happen again next year, and some challengers are counting on it. Election turnout surged the last time Texas votes really mattered in a presidential primary, but the 2008 runoffs a month later were marked by a full relapse of electoral anemia. Those elections were only five weeks apart, but they could not have been more different: A high-interest, high-turnout affair followed by a nearly invisible finish. And it could happen again, with some variations, in less than five months. This time, some challengers are counting on it. Possible and probable Republican challengers have begun to multiply in a few key contests, like the challenge to Texas House Speaker Joe Straus in San Antonio and another to state Rep. Byron Cook, chairman of the House State Affairs Committee and an important Straus ally, in Corsicana. Each will have at least two opponents — filing for the seats starts next month, so none of this is official yet — and could have more. The strategy is simple: Maybe a challenger could win in the primary, but the chances could be better in a runoff where only the most active voters turn out. A famous recent example came in the 2012 election that put Ted Cruz in the U.S. Senate. He finished second in a nine-person primary, 10.5 percentage points behind Lt. Gov. David Dewhurst. Dewhurst, who had been in that statewide office for a decade and was land commissioner for four years before that, was the prohibitive favorite. He got 44.6 percent of the 1.4 million votes cast. But runoff voters were in the mood to drop anvils on establishment folks like him, and Cruz won a runoff with 56.8 percent of the 1.1 million votes cast. That was a big turnout drop, but not as big as usual. After all, the race for U.S. Senate was the marquee contest in that year’s primary, a condition that persisted through the runoff. It was already clear when Texans voted in the 2012 Republican primary that Mitt Romney would be their nominee for president. It didn’t matter that he was one of nine candidates — Romney got 69.1 percent of the vote. Next year’s GOP presidential primary in Texas will probably be competitive — like the one the Democrats had eight years ago. In that first round in 2008, a lot was at stake. Hillary Clinton and Barack Obama were still battling for the Democratic Party’s presidential nomination when it came time for Texans to vote. Turnout in the Democratic primary jumped to almost 2.9 million. Turnout in the Republican primary was up, too, even though Arizona’s John McCain had the nomination in the bag by then. After the first round, voters moved on. The race for a spot on the Texas Railroad Commission was the only statewide contest on that year’s Democratic runoff ballot. In the first round, just under 2 million Texans voted in that race — about a million fewer than in the presidential primary at the top of the ballot. In the April runoff, only 187,708 Democrats showed up; more than twice that many had voted for the third-place finisher in round one. Even well-publicized contests see that kind of shrinkage. Republicans didn't have a single statewide race on their runoff ballot in 2008; the biggest draw in Texas was for Harris County DA, which attracted 40,068 voters, who favored Pat Lykos over Kelly Siegler. That contest attracted 140,904 voters in the first round — three times as many — when presidential candidates topped the ballot. 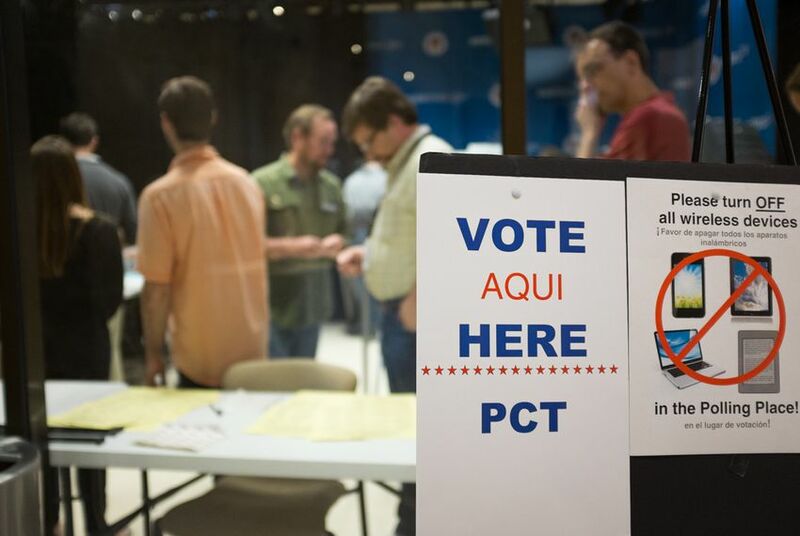 No trick works every time in politics, but runoff challengers have knocked off some incumbents in recent years, like Republicans U.S. Rep. Ralph Hall of Rockwall, Dewhurst, State Sen. Bob Deuell of Greenville and state Rep. Stefani Carter of Dallas in 2014, and state Sen. Jeff Wentworth of San Antonio and state Rep. Jim Landtroop of Plainview in 2012. It happened to state Rep. Norma Chavez of El Paso in the Democratic primary runoff in 2010 and to Delwin Jones of Lubbock in that year’s GOP runoff. Only one incumbent legislator lost a runoff in 2008 — that was Buddy West, R-Odessa — the last time a low turnout runoff followed a presidential primary election. But if you’re trying to knock off incumbents in your own party, packing the primary and hoping a more favorable electorate will vote against the establishment in the runoff might be your only real hope. And because of 2016’s presidential race, the attendance drop from the first election to the second could be enormous.